With the new range of liners that have been launched for the 2018 season there has never been a better time to re furbish existing pools or create a beautifully tiled looking pool without the added costs and complicated construction methods usually associated with a traditional tiled pool. With the new Ceramic touch lining material, you can achieve the traditional mosaic look for a fraction of the price! 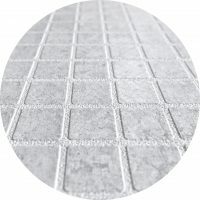 The Ceramic patterns combine the traditional “mosaic tile” effect with a beautifully textured 3D finish which both looks and feels totally new and original. The Ceramic range comes in four stunning new colours; Selene, Etna, Sofia and Atenea – all simulating vitreous tiles. 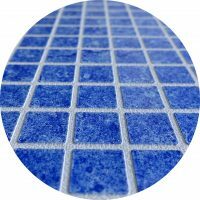 The Ceramic materials are 2mm embossed, reinforced pool-lining membranes, and can be installed in nearly all pool shapes and sizes. 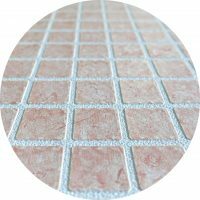 If the mosaic look isn’t your style then a more natural appearance can be achieved using the Touch range of liners to create a natural stone looking finish. 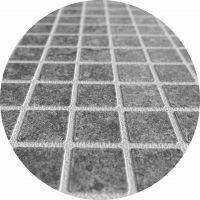 Manufactured in extremely tough 2.00mm material the touch system has a natural looking texture incorporated into it. The patterns are designed to give a natural feel and appearance, giving the sensation of swimming in a natural pool or lagoon. The multiple layers of acrylic varnish ensure a finish which will look fantastic for years and years, withstanding all kinds of punishment endured in a swimming pool environment. The 3D embossed Touch range is presented in three different patterns; Touch Authentic, Touch Relax and Touch Elegance all designed to give a beautiful natural looking swimming pool.